Alex Mathers of Red Lemon Club helps entrepreneurs, artists, writers, and other self-starters realise their full potential, make an impact, stand out and get seen (like Red Lemons). We talk self-confidence, creativity, making money, marketing and more. The no-nonsense podcast for ambitious, talented, and creative minds. Send in your questions, and Alex will answer them. 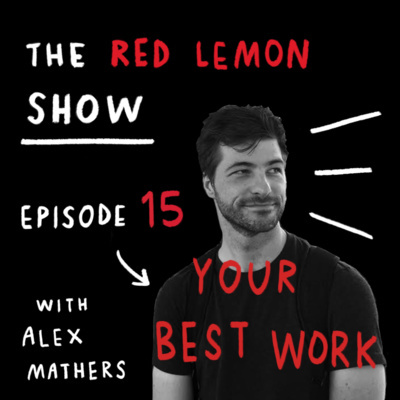 In this episode Alex discusses how to talk about your work, your products, and services in a way that persuades and inspires others to want to work with you. Knowing how to describe yourself is VITAL for your online marketing, copy, landing pages, websites, and the conversations you have with potential clients and customers. They need to see you as THE solution to what they NEED. Alex of Red Lemon Club talks about how, like everyone else, he gets frustrated, and down, and experiences the struggles of building and growing a business. But over the years, he's been able to turn things around more smoothly, more quickly by applying his philosophy on dealing with struggle. Listen to today's episode for ideas on how to turn struggle into power, so that you move forward with momentum and confidence. Go to RedLemonClub.com for your free book! 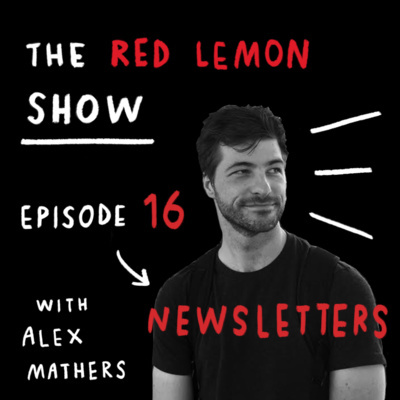 Alex of RedLemonClub.com discusses the tremendous value of having a newsletter and email list if you provide creative products and services. Why they're powerful and how to use them. Don't miss this one! Don't forget to subscribe and share this episodes with those you know. Thank you. Alex discusses the interplay between doing great work; your best work; the work that brings you to life AND working with customers and clients. Is it even possible? Does a business agreement for MONEY infect the creative process? Here's what Alex thinks. A must-listen. 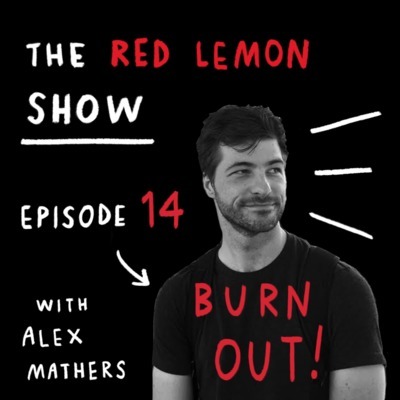 Alex of Red Lemon Club - writer, illustrator and coach - talks about burn out, and why it isn't down to working too hard. In fact, it's often down to not working ENOUGH in the areas that matter. Have a listen, and have your say. Make sure you subscribe and share the podcast with friends who might also like it. Thank you! Go to RedLemonClub.com to follow all our updates, and get your free gift. Alex of Red Lemon Club talks about his own struggles with social anxiety and provides solutions on how he deals with it, and how you can too. If unnecessary social fear stops you in your life, this is a must-listen. Alex of RedLemonClub.com shares his advice on finding and landing creative jobs, especially when the pressure is on and you need a job quickly. Alex talks about money made SIMPLE. From knowing what problems you are solving, to understanding who your customers and clients are, to being irrestable for buyers, and making that sale. This episode breaks it all down. Listen today! 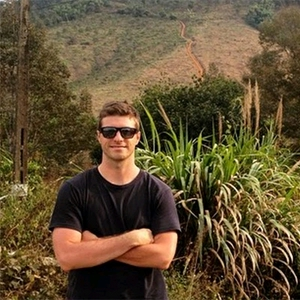 Alex talks about his take on the REAL meaning of doing what you love in business and life. How it isn't all sunshine and rainbows, and how to do what you love successfully. This is a MUST listen! Alex had a hard time today not feeling like doing the work he knew he needed to do. But he did it anyway. In this episode Alex talks about the huge significance of not only showing up to create regularly, but in overcoming the resistance of not feeling it; not being in the mood; being bored and frustrated. It can be done, and it will change you dramatically. Don't miss this one! Alex talks about all the elements that contributed to landing an illustration contract with the Google Plus team. Hone your style; make the right kinds of friendships, and stack value. This is a must listen for anyone who is looking for dream clients. In this episode, writer and illustrator for companies like Google, Mars and the BBC, Alex Mathers discusses how he gets inspired to create his best work with regularity, even though he isn't feeling it on some days. He talks about how focusing on problems is one of his best-kept secrets for getting emotional about the work (which is key for art that people love). This episode concentrates on writing, but his ideas will apply to any creative field. Take a listen! In this episode, Alex talks about getting into the right mindset about MONEY when it comes to making art and maintaining your creative integrity. The right kind of money philosophy can help you make more of it, feel better about it, bring people the value they need, ALL while creating our best art. Listen today! 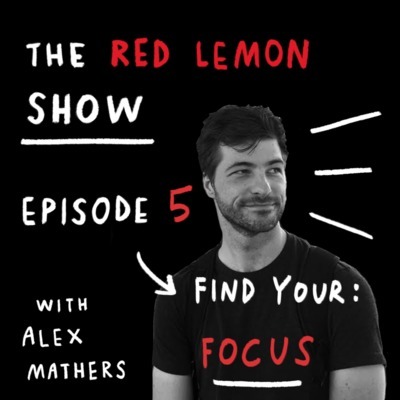 Alex talks about a common problem: lacking FOCUS. He discusses why we need it, why we don't have it, and the secret sauce that will help you find it in the places that MATTER the most. This is a big one. Don't miss. 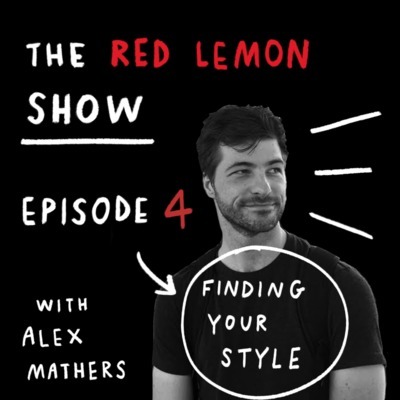 In this episode, Alex talks about developing a style; a unique voice in your creative work. We talk about doing what brings you to life, getting rejected, and the power of bow and arrow and targeting. Don't miss this one. 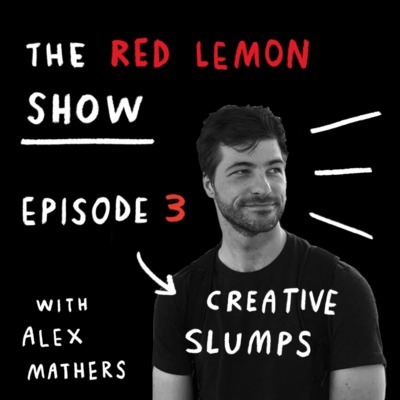 In this episode of the Red Lemon Show, Alex discusses what he does to blast through those moments when we don't feel productive, and we are creatively blocked. Listen in for a new feature we're adding that could get your work featured on the show! In this episode, Alex answers a reader question on promoting one's creative business. He introduces his 'tripod of awareness' idea that provides the backbone of the marketing strategies he advises for his clients, and uses himself. Also discussed are other self-promotion avenues that have worked for Alex and others, as well as cool and interesting new ways of promoting yourself in the modern world without losing your head. Don't miss it! 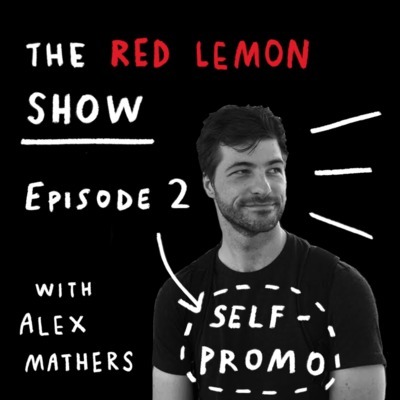 The very first episode of the Red Lemon Show, with Alex Mathers - illustrator, writer and blogger at RedLemonClub.com. Alex tells you why you need to listen to him, and what he plans to talk about over the next few episodes, including guest appearances, self-confidence, productivity, overcoming anxiety and marketing. It is worth listening until the end to find out how to join in more closely with other creative minds through our new Red Lemon Club Slack forum. Feel free to call (via anchor.fm is a great way) and write in with ideas and questions. Enjoy!